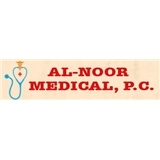 Al Noor Medical, PC (Valley Stream) - Book Appointment Online! The patient experience in our office is rounded off with the caring treatment you will receive from our nurses, medical assistants, administrative, and billing staff. Each member of our office staff is a well trained compassionate professional, and we will do everything in our power to ensure your comfort, and satisfaction. We are a multi-specialty medical office and walk-in clinic providing high-quality internal medicine, primary and adult medical care and treatment for you and your family, Alnoor Medical PC was established in November of 2013 by Dr. Safdar Hussain. Serving East Meadow and surrounding communities, Alnoor Medical PC offers personalized family care with great discounts in the area for those without health insurance - so you can have peace of mind and restore your health and well-being.